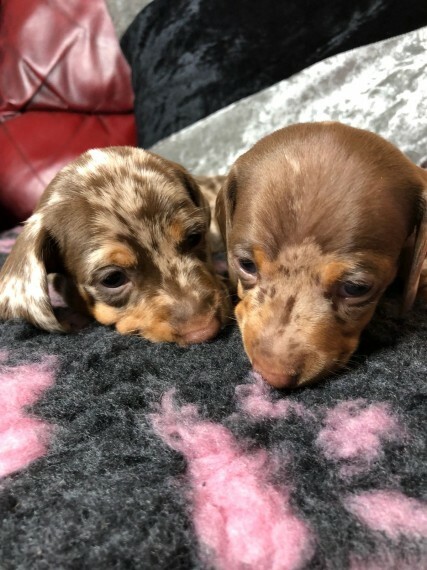 True to type mini daschund Boys carrying blue for sale chocolate and tan and chocolate dapple carrying blue. Dam is Charlie Chaplin. Sire is my family pet pippa No expense spared on these boys lovely temperaments been around children and used to noises ready to leave in a couple of weeks all health checked and wormed kc registered. 400 pound deposit secures your puppy. Thanks for looking any more information just give me a call.